Vistara World also offers a map where passengers can track their flight, right from takeoff. Vistara announced the launch of its complimentary wireless inflight entertainment system on Thursday. The entertainment system will be made available across its entire network and fleet of 22 planes. The entertainment system has been named Vistara World. Passengers can access the system on their own laptops or mobile phones and can choose from a multimedia library of Bollywood and Hollywood content. Vistara Chief Strategy & Commercial Officer, Sanjiv Kapoor said in a statement, "We are delighted to roll-out our 'Vistara World' wireless streaming inflight entertainment system across our entire network and all flights, to further enhance the high levels of customer experience that Vistara is famous for. This is a significant addition to our product portfolio and fulfils a much sought-after request from our customers." 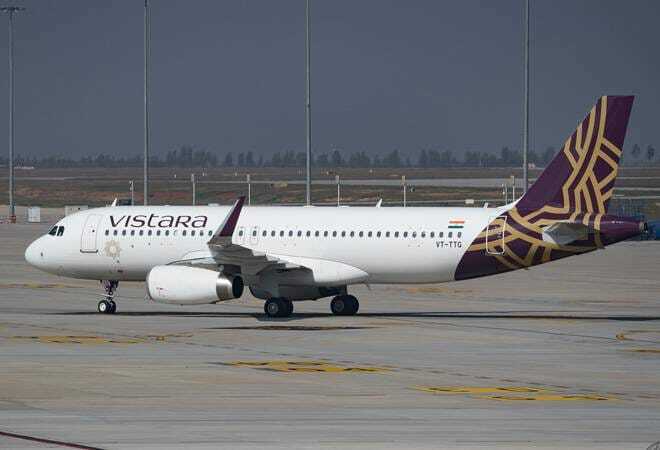 Vistara released a statement that elaborated on the kind of content they are rolling out. From movies across genres to popular Indian TV programmes, Vistara World hosts more than 70 hours of content. "Refreshed every month, it features movies of various categories such as Drama, Romance, Comedy, Thriller, Action, Adventure and Kids, as well as popular Indian and Western TV programmes and a great selection of music including Indian, Pop, Jazz, Blues, Rock, Electronica and English Retro," the statement said. Not only that, Vistara World also offers a map where passengers can track their flight, right from takeoff. One can also access reading material, including Vistara's inflight magazine. The content will be streamed wirelessly and directly on the passengers' mobile phones or laptops. The airline, however, says that it highly recommends that customers download these apps before onboarding. The complete catalogue is best accessed on the Vistara World app that is available for free on Google Play Store and Apple App Store. However, content that are digitally unrestricted can be accessed without the app as well.